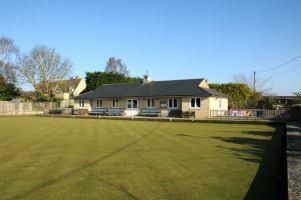 Chadlington Bowls club is a small, friendly club located in the heart of the Village. The club can trace its roots back to 1937 but the present Club house and facilities date back to 1997 and were provided with the help of a Lottery Fund Sports for All Award. The Club competes in the Oxford Bowls League for Men on a Thursday evening, but also has a full fixture list of “friendly” games on Saturdays and / or Sundays , against other local Clubs, throughout the Summer months. Plus “in doors” bowls and “short mat” bowls through the Winter. The Club has excellent facilities that are available to hire for parties or special events. The Club is also the venue for the Chadlington Playgroup.